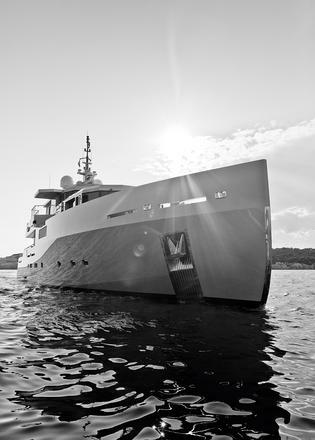 This award needed little debate – the stunning 73 metre Grace E was an overwhelming favourite. 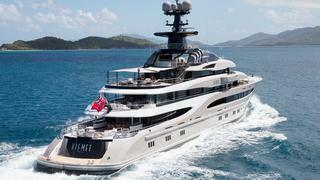 The superyacht with the ultimate sun deck spa, Grace E handily won Motor Yacht of the Year. Builder: Picchiotti – Perini Navi Group Naval Architect: Philippe Briand/ Vitruvius Exterior Design: Philippe Briand/Vitruvius Interior Design: Rémi Tessier Past winners of Motor Yacht of the Year include: Ice (2006), Kogo (2007), T6 (2008), Al Mirqab (2009), Arkley (2010), Eclipse & Exuma (2011), Tango (2012), Loretta Ann (2013), Madame Gu (2014). 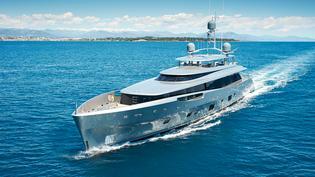 This award needed little debate – the stunning 73 metre Grace E was an overwhelming favourite. 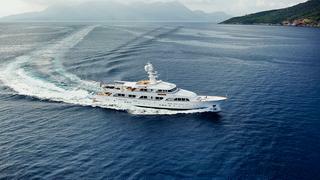 The superyacht with the ultimate sun deck spa, Grace E handily won Motor Yacht of the Year. 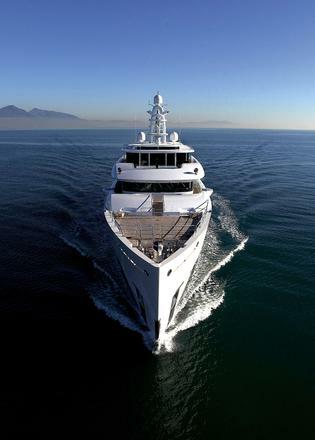 Past winners of Motor Yacht of the Year include: Ice (2006), Kogo (2007), T6 (2008), Al Mirqab (2009), Arkley (2010), Eclipse & Exuma (2011), Tango (2012), Loretta Ann (2013), Madame Gu (2014). WinWin had to beat stiff competition to scoop this prize, but the gorgeous cruiser/racer seduced our judges. 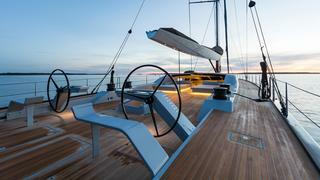 Maybe because Baltic Yachts' 33 metre WinWin balances performance, style and comfort. 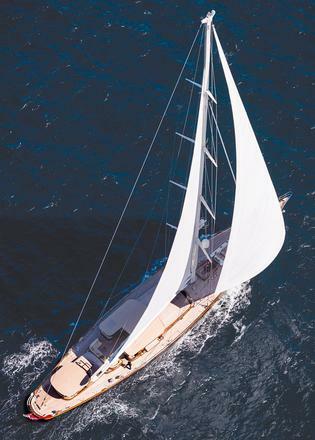 Builder: Baltic Yachts Naval Architect: Javier Jaudenes Exterior Design: Javier Jaudenes Interior Design: Design Unlimited Past winners of Sailing Yacht of the Year: Parsifal III (2006), Maltese Falcon (2007), Meteor (2008), P2 (2009), Hanuman (2010), Zefira (2011), Vertigo (2012), Pumula (2013), Inukshuk (2014). WinWin had to beat stiff competition to scoop this prize, but the gorgeous cruiser/racer seduced our judges. 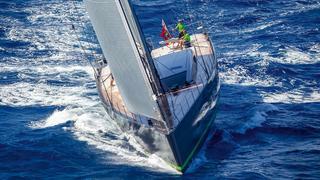 Maybe because Baltic Yachts' 33 metre WinWin balances performance, style and comfort. Past winners of Sailing Yacht of the Year: Parsifal III (2006), Maltese Falcon (2007), Meteor (2008), P2 (2009), Hanuman (2010), Zefira (2011), Vertigo (2012), Pumula (2013), Inukshuk (2014). This was perhaps the most difficult class for the judges to decide as they agreed that all of the yachts were highly attractive, having been built to the most demanding standards with little regard to cost, while their differences largely resulted from their owners’ specific requirements. The judges considered that every aspect of all four yachts was well thought out and this was demonstrated by the fact that every yacht was singled out as the winner by at least one judge. But each jury member awards marks to every yacht and this means that their second, third and fourth choices are also important in determining the overall result. When the results of the secret ballot were announced it was 95.2 metre Lürssen yacht Kismet that narrowly headed the scoreboard. This yacht, they felt, is a true all-rounder combining impeccable construction, with appealing exterior design, great deck areas, and a tasteful interior that suits a wide audience. Despite their wide range of backgrounds and individual tastes, the judges were of one mind in deciding a winner for this class – a degree of agreement rarely seen in this competitive environment. The yacht that stood out was 73 metre Grace E, the third vessel in the Vitruvius series designed by Philippe Briand and built by the Perini Navi-owned company Picchiotti. The judges were particularly impressed by the purposeful good looks of her attractively clean, modern exterior lines, but they also admired her interior layout, her calm yet detailed decorative scheme from the celebrated French designer Rémi Tessier, and the high quality of construction achieved by Perini Navi. Not least, the judges also noted that her miserly fuel consumption, long range and economy of operation made her a vessel that is ideally suited to the modern era. Five yachts competed for the Neptune in this competitive class with two being singled out during the judges’ round-table discussions prior to the completion of the ballot sheets. When the mathematics were completed the narrow margin of the result became apparent: 51.1 metre MySky from Heesen Yachts had been chosen as the winner. 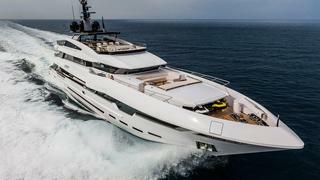 The judges had particularly noted the comments of the owner – a three-time Heesen client – who explained how his philosophy and use of the yacht had influenced its style and layout. The yacht also introduced the work of interior designer Erick van Egeraat whose interior was greatly admired, as was the quality of all aspects of the yacht’s construction and performance, including the stated range of 5,400 nautical miles at a cruise of 10 knots. Builder: Heesen Yachts Naval Architect: Van Oossanen/Heesen Yachts Exterior Design: Omega Architects Interior Design: Erick van Egeraat Judges' Commendation: Saramour Just a single, solitary point separated MySky and Saramour in the final standing, so in recognition of this, the judges agreed to present her with a Commendation. Five yachts competed for the Neptune in this competitive class with two being singled out during the judges’ round-table discussions prior to the completion of the ballot sheets. When the mathematics were completed the narrow margin of the result became apparent: 51.1 metre MySky from Heesen Yachts had been chosen as the winner. The judges had particularly noted the comments of the owner – a three-time Heesen client – who explained how his philosophy and use of the yacht had influenced its style and layout. The yacht also introduced the work of interior designer Erick van Egeraat whose interior was greatly admired, as was the quality of all aspects of the yacht’s construction and performance, including the stated range of 5,400 nautical miles at a cruise of 10 knots. Just a single, solitary point separated MySky and Saramour in the final standing, so in recognition of this, the judges agreed to present her with a Commendation. Following the screening of pictures of all the yachts in this class the judges entered a lively debate on the merits and otherwise of each of the five finalists. But it was the result of the secret ballot that determined the winner and this showed a clear preference for 46.7 metre Elena, which covered the widest range of judging parameters. This yacht, the judges felt, provided well balanced and extremely pleasant living areas, both on deck and inside, for the owner and his guests while the crew, for whom good living and service facilities ensure the proper running of a modern yacht, was equally well provided for. 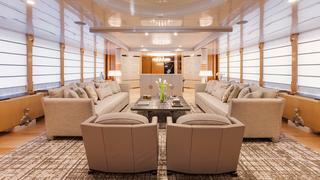 Particularly admired were the fully featured sundeck and the spacious master suite. Builder: Heesen Yachts Naval Architect: Heesen Yachts Exterior Design: Omega Architects/Heesen Yachts Interior Design: Omega Architects Judges' Commendation: Logica While Elena was the best all-rounder, the highest-scoring yacht for her exterior design was Logica, which receives a Judges’ Commendation. Following the screening of pictures of all the yachts in this class the judges entered a lively debate on the merits and otherwise of each of the five finalists. But it was the result of the secret ballot that determined the winner and this showed a clear preference for 46.7 metre Elena, which covered the widest range of judging parameters. This yacht, the judges felt, provided well balanced and extremely pleasant living areas, both on deck and inside, for the owner and his guests while the crew, for whom good living and service facilities ensure the proper running of a modern yacht, was equally well provided for. Particularly admired were the fully featured sundeck and the spacious master suite. While Elena was the best all-rounder, the highest-scoring yacht for her exterior design was Logica, which receives a Judges’ Commendation. To determine the winner in this, the smallest of the Displacement classes, the judges found it necessary to examine each of the five finalists in the smallest detail. 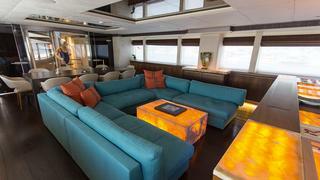 Appearance, general arrangement of the yacht’s interior and exterior areas, together with the ambiance provided by its interior design, its construction quality, and mechanical and technical issues were all discussed and taken into account on the individual marking sheets completed by each judge. 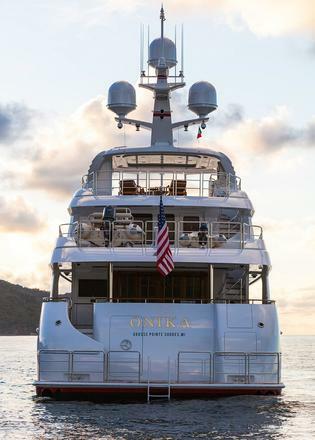 While noting that some aspects of this yacht, such as her tender storage on the bridge deck aft, might not fit European ideals, the judges nevertheless chose 40.5 metre Onika, which they described as a superbly built yacht with an elegant and stately classic appearance. Her efficient hull shape, and hence fuel efficiency and long range, perfectly suited the oceanic and coastal cruising ambitions of her US owner, for whom the spacious exterior living areas and the Edwardian-inspired interior are perfectly suited. The undisputed winner of this class arose from a liaison between an acknowledged builder of the highest quality yachts and an experienced owner from New Zealand who has constructed more yachts than anyone can remember. This yacht, 46.2 metre Como (now re-named Lady May by her new owner), is the second motor yacht of that name to be commissioned by Neville Crichton and is unusual in that it is one of the smallest Feadship yachts built in recent years. While semi-displacement yachts are usually characterised as providing high speed and short range, the judges admired Como’s more moderate approach that offers the possibility of a 19-knot top speed, while at her economic cruising speed of 14 knots she will achieve an enviable range of some 4,500 nautical miles. Adding to the appeal of this performance the judges considered that this yacht’s appearance and build quality took her to a very special level that could not be emulated by other yachts in this class, despite some impressive performance figures. This class was remarkable for the extremely wide range of performance among its entrants. At the top of the range was the amazingly fast AB116, whose planing hull is powered to a top speed of 53 knots by triple MTU 16V2000 engines developing a total of 6,240hp, which are shoehorned into her engine room. 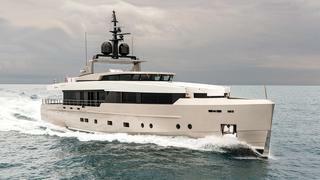 But speed was not the sole factor on which this powerful class was assessed, and after much discussion on quality of construction, appearance, engineering and internal layout, followed by the usual secret ballot, the winner was declared as the aggressively styled but more conservatively powered 37.3 metre NoNo, which is able to operate acceptably in both semi-displacement and displacement modes, with the latter providing a maximum range of 3,200 nautical miles. The judges considered that her large external areas were ideal for relaxation and socialising while their marriage to a cosy interior that is well lit through large windows, make this a good all-rounder with wide appeal. *Few have achieved more on the regatta circuit than this year’s winner * The winner of this year’s Legacy Award very nearly didn’t progress beyond his first experience of sailing – aboard a sailing school yacht in the English Channel during a gale. Lord Irvine Laidlaw remembers it as “rough, cold and a bit scary!” but it taught him that sailing was sufficiently demanding to be of interest, while it had the added benefit of forcing his mind off his demanding job. A year later, he and a partner bought an unfinished Varne 27 that was languishing on wasteland near Tower Bridge in London. It took another year to get the yacht ready for launch, but in 1976 Tower Maid splashed into the Thames and was soon cruising the south coast of England. It wasn’t too long before he caught the racing bug, and the Varne 27 was followed by two fully owned Westerlys: a GK29 and GK34, the latter becoming the first of his now internationally famous series of Highland Fling yachts. Moving to Hong Kong and then Singapore didn’t mean his racing career suffered – far from it. He competed in the 1981 Admiral’s Cup, and placed second in the 1985 One Ton Cup with his third Highland Fling. He later captained Singapore’s Admiral’s Cup team and was a member of the winning British team at Sydney’s Southern Cross event. A second visit to the Southern Cross in 1987 was less successful, but still notable: while there he met his wife, Christine. A move into Swans meant he could still compete and drive his own boats, and a long association with the brand began. His Swans crept upwards in size from the 14 metre Highland Fling No. 4 to the 18.3 metre Highland Fling No. 7 as he raced at every Swan event and most of the world’s “serious but fun” regattas. A foray into the Wally Class saw him racing a 24.4 metre Farr design, after which he built the Reichel/Pugh 82, Highland Fling No. 15 – the incredibly fast sailboat that he currently owns, along with a Ker 46 that he keeps and races in Cape Town. He also has a Swan 112 in build. This sort of sailing history would mark anyone out as a dedicated yachtsman, but this owner has a second arrow in his quiver: motor yachts. By the 1990s he had started working his way through a series of motor yachts, all named Lady Christine. 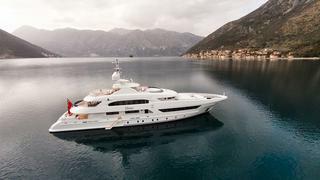 First came a 23 metre Azimut, then a 38 metre Heesen and a 55.6 metre Oceanco, before building his current Lady Christine, a magnificent 68 metre Feadship that is currently in the Maldives. He has also owned the 34 metre Sunseeker Frivolous, and the 40 metre Seaflower, another Feadship, which he sold and has just repurchased. 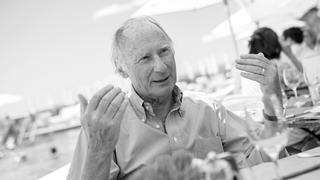 There cannot be many yachtsmen who have achieved so much in the dual fields of sailboat racing and motor yachting over the past 40 years, and for this, our deserved winner of this year’s Legacy Award is Lord Irvine Laidlaw. The winner of this year’s Legacy Award very nearly didn’t progress beyond his first experience of sailing – aboard a sailing school yacht in the English Channel during a gale. Lord Irvine Laidlaw remembers it as “rough, cold and a bit scary!” but it taught him that sailing was sufficiently demanding to be of interest, while it had the added benefit of forcing his mind off his demanding job. A year later, he and a partner bought an unfinished Varne 27 that was languishing on wasteland near Tower Bridge in London. It took another year to get the yacht ready for launch, but in 1976 Tower Maid splashed into the Thames and was soon cruising the south coast of England. It wasn’t too long before he caught the racing bug, and the Varne 27 was followed by two fully owned Westerlys: a GK29 and GK34, the latter becoming the first of his now internationally famous series of Highland Fling yachts. Moving to Hong Kong and then Singapore didn’t mean his racing career suffered – far from it. He competed in the 1981 Admiral’s Cup, and placed second in the 1985 One Ton Cup with his third Highland Fling. He later captained Singapore’s Admiral’s Cup team and was a member of the winning British team at Sydney’s Southern Cross event. A second visit to the Southern Cross in 1987 was less successful, but still notable: while there he met his wife, Christine. A move into Swans meant he could still compete and drive his own boats, and a long association with the brand began. His Swans crept upwards in size from the 14 metre Highland Fling No. 4 to the 18.3 metre Highland Fling No. 7 as he raced at every Swan event and most of the world’s “serious but fun” regattas. A foray into the Wally Class saw him racing a 24.4 metre Farr design, after which he built the Reichel/Pugh 82, Highland Fling No. 15 – the incredibly fast sailboat that he currently owns, along with a Ker 46 that he keeps and races in Cape Town. He also has a Swan 112 in build. This sort of sailing history would mark anyone out as a dedicated yachtsman, but this owner has a second arrow in his quiver: motor yachts. By the 1990s he had started working his way through a series of motor yachts, all named Lady Christine. 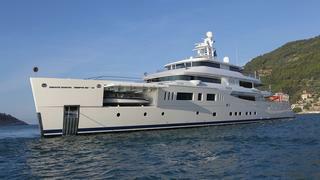 First came a 23 metre Azimut, then a 38 metre Heesen and a 55.6 metre Oceanco, before building his current Lady Christine, a magnificent 68 metre Feadship that is currently in the Maldives. He has also owned the 34 metre Sunseeker Frivolous, and the 40 metre Seaflower, another Feadship, which he sold and has just repurchased. There cannot be many yachtsmen who have achieved so much in the dual fields of sailboat racing and motor yachting over the past 40 years, and for this, our deserved winner of this year’s Legacy Award is Lord Irvine Laidlaw. This class, made up of large, fast semi-displacement yachts, was contested by five famous, well respected yards known for their semi-custom, series-production designs. While each yacht displayed a selection of excellent features and facilities, an overwhelming proportion of the jury homed in on 49 metre Polaris, the second vessel in the new and exciting Prince Shark 49 design for Rossinavi by Enrico Gobbi’s talented Team for Design. With her gross tonnage optimised at just below 500GT this militarily styled yacht delivers a top speed of 24 knots despite the nine tonnes of marble that adorn her, while she can cross oceans at 9.5 knots with her 3,800 nautical mile range at this speed. The judges were particularly impressed by her spacious, fully featured deck areas and a well laid out interior that meets all the needs of the owner and his guests as well as the comfort and working requirements of the crew. Four finalists, three built from FRP and one from wood-epoxy, evenly spaced across the size category competed for a Neptune in this class. All had been visited by one or more judges, who briefed the remainder of the jury on those elements which could not be determined from the written text and photographs contained in the Judges’ Dossier, prior to a lively discussion concerning their relative merits. It was not an easy choice as each yacht excelled in some area, but when the ballot was counted 37.9 metre So’Mar was a clear winner. Some judges had selected her on the grounds of her clean, modern lines and efficient long-range performance, while others liked her practical interior layout with its enviable master suite on the upper deck. Clearly this yacht is a winner when it comes to satisfying a wide range of tastes. It was clear from the round-table discussion that every yacht in this class had its particular admirers among the jury, but following the secret ballot it was 47.6 metre Wisp that topped the points, closely followed by Elfje, another modern classic from the same stable of Royal Huisman and Hoek Design. 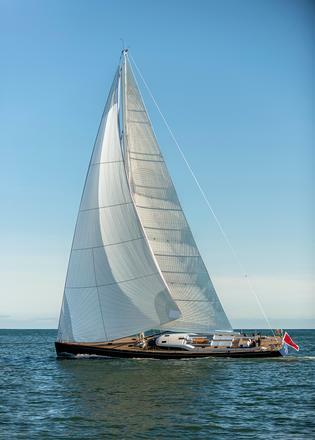 The jury considered the sloop-rigged Wisp to be the epitome of the modern classic sailing yacht, with gorgeous lines, a beautiful exterior enhanced by perfectly proportioned deckhouses and an interior to match from the UK designer Rhoades Young. In the judges’ view this yacht perfectly fitted the owner’s requirement for a world-cruising yacht that would be his family’s “home away from home with a decent turn of speed without sailing on the edge”, while being capable of some “gentleman’s Corinthian racing”, her ability at which was demonstrated with a podium finish in this year’s Loro Piana Caribbean Superyacht Regatta & Rendezvous. This class, which featured a mix of fast cruisers and cruiser/racers, included one yacht built from aluminium and three from advanced composites. While the 228-tonne displacement yacht Escapade was admired by the judges as a well-specified bluewater cruiser, their attention was drawn to the lighter, higher-performance craft for which this class is a natural home. Among these it was the 33 metre WinWin designed by Spanish race-boat designer Javier Jaudenes and built by Baltic Yachts that gained the judges’ admiration. Built from pre-preg carbon fibre and boasting a remarkably light displacement of 77 tonnes, this lifting-keel yacht combines an attractive appearance with efficient yet extremely stylish on-deck working areas, a particularly agile performance, and a level of technology that allows the yacht to be readily manageable by a crew of four. In addition, she features super-comfortable living spaces styled in the modern idiom and a superb build quality. Four yachts were considered by the jury in the Refit Class, a category that is defined by the judges as one in which the work carried out is largely cosmetic but nevertheless represents a notable upgrade to the vessel and her amenities. The amount and quality of the work carried out, the resulting improvement, and the time in which these were achieved, are all factors considered by the jury. When the results of the ballot were announced, Alumercia and Amore Mio 2 had scored exactly the same total. Along with other much needed work Amore Mio 2, the 52 metre Abeking & Rasmussen yacht launched in 1997 as Sea Jewel, received a very thorough interior refit that transformed her dated interior into a comfortable modern environment, again in a three-month period. Tied for first place in the Refitted Yacht award category, 37.9 metre Alumercia, a 14-year-old Heesen expedition yacht, had, in the judges’ opinion, been transformed into an attractively decorated young person’s Mediterranean family cruiser, with disco sound and light on three decks, and a very practical dual purpose beach area/garage in the stern – all in three months. The Rebuilt Yacht Class considers substantially rebuilt yachts that have been subject to extensive structural metalwork, machinery replacement and significant changes to the former general arrangement and decorative scheme. Once again, the extent and quality of the work and the degree of transformation are major factors considered by the jury. Three worthy yachts were entered in this class and the subject of considerable debate by the judges. Following the ballot, it was clear that the works to 45.8 metre Ancallia, originally launched by Feadship in 1984 as Bridlewood, had impressed slightly more than the works carried out to MySeanna. Ancallia, which is now available for charter, had been entirely gutted and stripped to bare metal, before receiving new machinery and a totally new interior by Sibyl Colefax & John Fowler Interior Design, to make her almost indistinguishable from a new Feadship of her period – a magnificent and worthwhile achievement in the judges’ view. Original Builder: C. Van Lent & Zonen/Feadship Refit Yard: Atlas Shipyards Refit Naval Architect: Navinco/George Tsokris Exterior Design: Michael Kirschstein/Dominic Skinner Interior Design: Sibyl Colefax & John Fowler Interior Design Judges' Special Award: Shemara A Judges' Special Award went to 64.5 metre Shemara. The judges were impressed by the dedication shown by the owner of Shemara in restoring the yacht to her former glory and saving an excellent example of a 1930s period yacht for posterity. The 1938 boat was relaunched after a three-year, one million man-hour rebuild project. The result retains Shemara’s original character but with far superior spaces both on deck and within, and with all mod cons added – including a Rolls-Royce diesel-electric drive train with twin azimuthing pods aft instead of conventional shafts. The Rebuilt Yacht Class considers substantially rebuilt yachts that have been subject to extensive structural metalwork, machinery replacement and significant changes to the former general arrangement and decorative scheme. Once again, the extent and quality of the work and the degree of transformation are major factors considered by the jury. Three worthy yachts were entered in this class and the subject of considerable debate by the judges. Following the ballot, it was clear that the works to 45.8 metre Ancallia, originally launched by Feadship in 1984 as Bridlewood, had impressed slightly more than the works carried out to MySeanna. Ancallia, which is now available for charter, had been entirely gutted and stripped to bare metal, before receiving new machinery and a totally new interior by Sibyl Colefax & John Fowler Interior Design, to make her almost indistinguishable from a new Feadship of her period – a magnificent and worthwhile achievement in the judges’ view. A Judges' Special Award went to 64.5 metre Shemara. The judges were impressed by the dedication shown by the owner of Shemara in restoring the yacht to her former glory and saving an excellent example of a 1930s period yacht for posterity. The 1938 boat was relaunched after a three-year, one million man-hour rebuild project. The result retains Shemara’s original character but with far superior spaces both on deck and within, and with all mod cons added – including a Rolls-Royce diesel-electric drive train with twin azimuthing pods aft instead of conventional shafts. Presented to a yacht entered for these awards which, in the opinion of the jury, best represents the elusive combination of high quality and good value, this year’s prize was awarded to the 31.78 metre sloop Farfalla, built by Southern Wind in South Africa to drawings by Farr Yacht Design. In the jury’s view, this attractively priced yacht will provide her owner with the ability to cruise the oceans in comfort and safety, as well as providing him with the option of keenly contested racing. Fully tested before delivery on a 7,000 mile maiden voyage to Europe under sail, Farfalla offers performance, comfort and reliability at an exceptional price. This year saw two entries to the Voyager’s Award. One was a lengthy action-packed cruise on a roundabout route from New Zealand to New Orleans by the sport fisherman Mea Culpa, sailing via French Polynesia, Hawaii and Alaska. In most years this would have been enough to secure the trophy, but not this year, as the cruise from the second entry, the converted tug Arctic P, was as daring as it was adventurous. 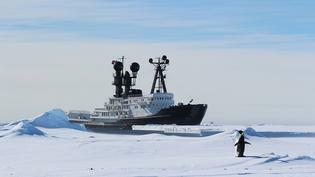 Having visited the Antarctic Peninsula the previous year, the owners of Arctic P yearned to go back for an even more audacious cruise. Headed for the inhospitable Ross Sea, they first called in on Macquarie Island, and the Balleny Islands, where they crossed into the Antarctic Circle. Their course, often in extremely rough seas, took them onwards to Victoria Land on the Antarctic mainland, skirting the ice-covered shore southwards to Ross Island. Here they visited Scott’s base for his tragic polar expedition and Shackleton’s Hut, preserved as a monument to this intrepid Antarctic explorer, before going on to the USA’s vast McMurdo Research Station. Thereafter, they skirted the 400-mile long, 50 metre-high Ross Ice Shelf heading eastwards and further south towards Roosevelt Island. The highlight of their voyage came at this point when they took Arctic P to the most southerly location reached by any vessel, be it commercial, military or a yacht – a remarkable achievement now logged in Guinness World Records. On the voyage they observed the Antarctic sea life, both above and below the surface, and they were educated in the local history and biology by embarked lecturers. This was not a spur-of-the-moment cruise, but an immaculately planned expedition in every respect, equipped with all the gear possible, and safety and exit plans to cover every contingency. This incredible record-breaking voyage is a most worthy winner of this year’s Voyager’s Award. 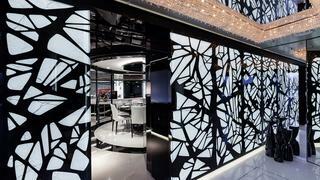 Lady May: the most innovative 46m superyacht ever?